The Woodfire Ceramics Center would like to set up an organizing and studio storefront in downtown Eugene, to bring this revival of ancient technology to the heart of Eugene. Eventually, downtown and in the country, we would like to create a permanent home (see below). But for now, we want to get people involved with this fundamental approach to ceramics. So we are looking for the ideal temporary home, enough room for a classroom studio space. 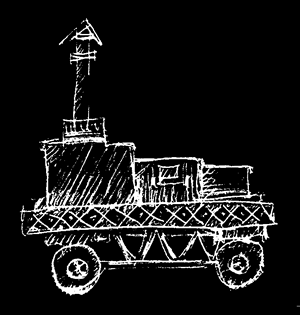 The woodfired kiln itself, for the moment, will be mobile -- perhaps the world's first mobile woodfire kiln, which we will fire, with permits, in nice spots, to raise the public's awareness of the technology. 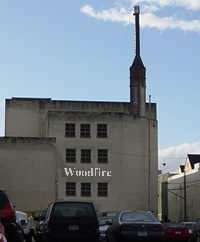 The Woodfire Center needs the perfect location! We can find a building site on our own, but without you, we will not find the perfect site. The perfect site will be in, or near, the Eugene-Springfield metropolitan area. It should be a site that interacts with beauty ... by a river, stream, lake, mountain, hill, valley, etc. It should be a piece of land that itself needs work, that is, it should be a kind of derelict or undeveloped piece of land that is not necessarily itself beautiful. So that we can make it beautiful. Potential zoning and friendly neighbors compatible with the scale of the project.